Actor Salman Khan in Hindi remake of Pithamagan? 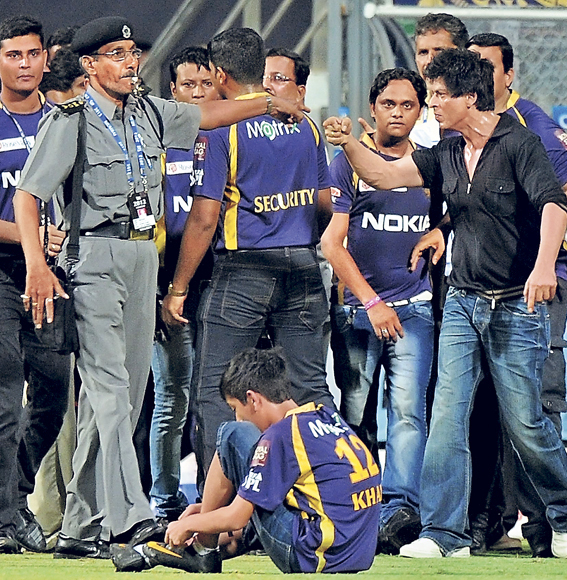 The Mumbai Cricket Association has banned Shah Rukh Khan from entering the famous Wankhede Stadium in Mumbai for life. The King Khan reportedly assaulted the security personnel at the stadium for not allowing him and his entourage to enter the cricket ground. The situation turned ugly with the star and his supporters hurling abuses at the security personnel who were doing their job. However, Shah Rukh's version is that the security personnel manhandled his daughter and this irked him which led to the altercation. The MCA has not taken this issue lightly and apart from banning the star from entering the Wankhede Stadium also filed a complaint at the Marine Drive police station. It may be mentioned here that the King Khan is one of the co-owners of the IPL team Kolkata Knight Riders. Four Tamil films Vazhakku En 18/9, Raattinam, Vaagai Sooda Vaa, and Mouna Guru have made it to the German International Film Festival this year. Of these four films, Raatinam is yet to be released. Vazhakku En 18/9, which hit the screens recently, has received rave reviews and is critically acclaimed throughout. 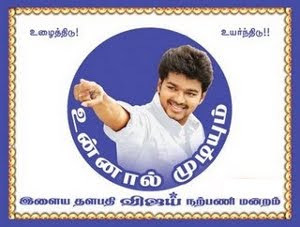 The film has been directed by Balaji Shakthivel and produced by N Lingusamy. Vaagai Soodava is directed by Sargunam and had Vimal and Iniya playing the lead pair. The film was set in 1960s era and director had portrayed the story very realistically. Mouna Guru was directed by newbie Shantha Kumar and had Arulinidhi and Oviya in the lead roles. Raattinam is directed by KS Thangasami and the film will make it to the theatres on May 18th. While the Bollywood biggies are gradually making their way towards the small screens, a war is mandatory amongst them. 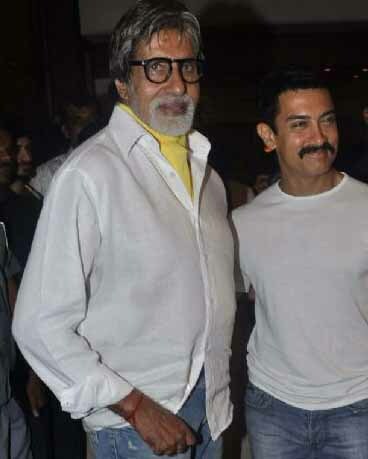 Aamir Khan's recent television show Satyamev Jayate, that has received nationwide applauds, somehow failed to beat megastar Amitabh Bachchan. Satyamev Jayate has clocked an opening TVR (Television Rating) of 3 on Star Plus. But, Amitabh Bachchan's Kaun Banega Crorepati series has been the leading show so far. KBC's five series clocked massive opening TVR. Even after SRK took over KBC, it did a good business. On the other hand, Salman Khan's Dus Ka Dum too was proved a big hit amongst the masses. But, beating all, Big B finally emerged as the winner in the world of television. The post production works of Ajith Kumar's Billa 2 are in full swing.. The Tamil movie, which has shaped up well so far, will have a June release. If the reports are to be believed, the makers of the film are planning to release on June 8. They are trying their best to bring the film before the audience on the above said date. Even if it fails, it might be pushed just for a week. Prior to the release, Aascar Ravichandran, who has acquired the distribution rights of the film for record Rs 26.05 crore, is gearing to release a trailer through a grand function on June 1. He is also planning to start the publicity campaign in the last week of May. Billa 2 is a prequel to Billa, which also features Nayantara and Namitha. Director Chakri Toleti replaced Vishnuvardhan, who could not take up the second instalment due to other commitments, in the latest film. Parvathy Omanakuttan and Bruna Abdullah are in the female lead roles. Actor-producer-director Satish Kaushik has purchased the Hindi remake rights of the Tamil film Pithamagan directed by Bala and starring Vikram and Surya. Satish has completed the script for the Hindi version and wants Salman Khan to reprise the role played by Vikram, which won him a National Film Award. In fact, earlier, Satish Kaushik officially remade another of Bala's Tamil film Sethu in Hindi with the title Tere Naam in 1999 with Salman Khan playing the lead. 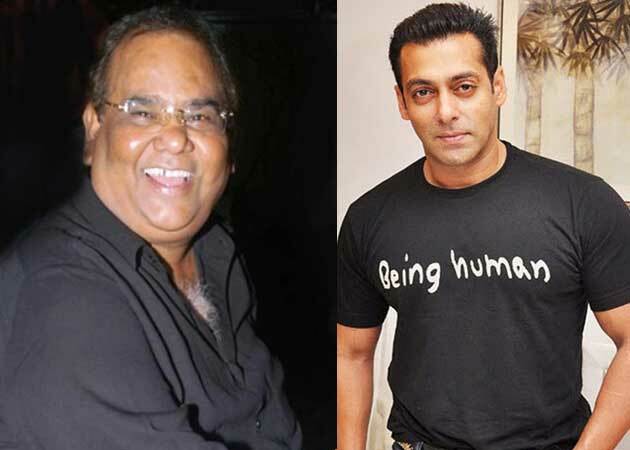 Satish is planning to read the script to Salman as soon as he completes shooting for Kabir Khan's Ek Tha Tiger. Wow huge of collection you have great. brochure printing services and business card printing printing workflow software . Different post about business cards .